eni Archives - Africa M.E. 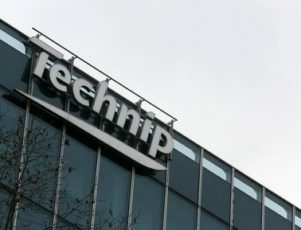 PARIS (Reuters) – French oil services company Technip has signed a deal worth $500 million with a consortium that includes Libya’s National Oil Company (NOC) and Italy’s oil and gas major ENI to refurbish an offshore oil platform. A statement from the French foreign ministry where a Libyan delegation was visiting on Tuesday, said the platform is for the Libya’s Bahr Essalam oil field off Tripoli. The deal was signed by NOC’s chief executive Mustafa Sanalla and Technip’s CEO Thierry Pilenko. 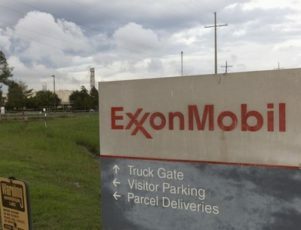 MILAN/LONDON (Reuters) – Exxon Mobil is in talks to buy a stake of around 15 percent in Italian oil major Eni’s giant Area 4 gas field in Mozambique, two sources familiar with the matter said. Exxon is seen as a front-runner to buy into Eni’s gas development and this would be the U.S. firm’s first big acquisition since the oil price collapse. Area 4, in which Eni holds a 50 percent operating stake, is located in Mozambique’s Rovuma Basin, where gas in place amounts to some 85 trillion cubic feet — one of the richest gas discoveries of recent times.It will feed a series of onshore LNG export plants, mainly supplying Asian markets. ENI said previously it aimed to sell around 15 percent of the field. Two sources said Exxon was in talks to buy a stake of that size, one of whom said Eni was also negotiating with other firms. “I am upbeat a deal will be reached fairly soon,” the second source said. A banking source familiar with the matter said Exxon was interested in buying Eni’s whole 50 percent stake, while a fourth source said Exxon was looking at unspecified stakes in all Eni holdings up for sale, also including assets in Egypt and elsewhere in Africa. Exxon and Eni declined to comment. 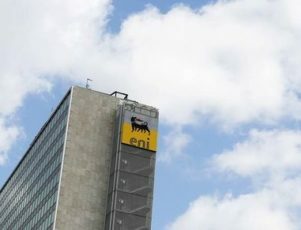 Eni, a front-runner among the majors in finding reserves, said earlier this month it would sell 7 billion euros of assets to 2019, most from farming down prize acreage. But it aims to hang on to operatorship of the fields. “The disposals will be mainly through the dilution of our stakes in recent and material discoveries,” CEO Claudio Descalzi said earlier this month, picking out Mozambique and Egypt as prime candidates. Descalzi said the group was not far from disposal in Mozambique, where it was holding talks with “a lot of interested parties”. Sales talks have got bogged down in recent years after crashing oil and gas prices drove a wedge between buyers’ and sellers’ price expectations, industry sources have said. Eni has been in talks with several buyers including China’s Huadian Corp, sources have said. The huge productive capacity of Eni’s Mozambique acreage attracted peak valuations two years ago, when Eni sold 20 percent to China’s CNPC for $4.2 billion, amid strong competition for reserves. 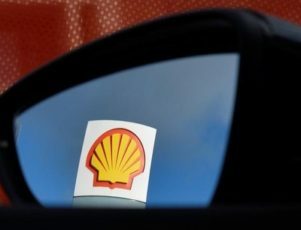 MILAN (Reuters) – Italy’s Eni said on Wednesday it has won approval from the Mozambique government to build its planned Coral floating liquefied natural gas plant. The company, which aims to sell all the LNG from the plant to British oil company BP, is expected to make a final investment decision this year but has now overcome one of the biggest hurdles. The pace of development of giant gas export schemes has slowed globally as liquefied natural gas prices have plummeted with oil prices, prompting many companies to delay funding decisions until business conditions brighten. Eni is moving ahead in Mozambique despite the added challenge of using a relatively untested technology to ship the gas. Its floating LNG (FLNG) export plant will be moored above the Coral gas field, containing 5 trillion cubic feet of gas, in resource-rich waters off Mozambique. One of the world’s poorest countries, Mozambique is hoping to fuel future prosperity with revenue from an estimated 180 trillion cubic feet of offshore gas. Eni’s plans include drilling six subsea wells and installing a floating LNG facility with a capacity of around 3.4 million tonnes per year. Regional LNG rival Tanzania has struggled to match Mozambique’s pace of progress in getting its own fledgling industry off the ground, hamstrung by regulatory uncertainty and other factors. Large latent capacity in the United States to export LNG at relatively low cost has also raised the competitive bar for what rival projects elsewhere in the world must do to attract customers, industry sources say. LNG prices are around a quarter of what they were two years ago as a wave of new supply has overcome demand growth, depressing the market, with yet more supply on the horizon as the United States starts exporting. Eni CEO Claudio Descalzi said approval of the Coral POD was a historical milestone for the development of the group’s discovery of 85 trillion cubic feet of gas in the Rovuma Basin. “It is a fundamental step to progress toward the final investment decision of our project which envisages the installation of the first newly built FLNG facility in Africa and one of the first in the world,” Descalzi said. Eni is the operator of Area 4 with a 50 percent indirect stake owned through Eni East Africa which in turn holds 70 percent of the Area. U.S. energy company Anadarko Petroleum plans to build an onshore LNG export scheme in Mozambique, but is expected to lag Eni’s project.